A building contractor must serve 12 months in jail for the manslaughter of a worker who fell from a slippery roof in Co Armagh, the Court of Appeal has ruled. Senior judges held that the original suspended sentence imposed on Norman McKenzie following the death of Petyo Hristanov in January 2015 was unduly lenient. Lord Justice Gillen indicated a deterrent punishment was necessary due to the lack of any precautions and to warn the construction industry of the consequences of failing to ensure staff safety. 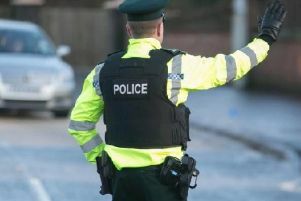 Mr Hristanov, a 57-year-old father of two from Bulgaria, suffered fatal head injuries when he plunged almost five metres from the partially constructed farm shed on Portadown’s Derrycarne Road. Another foreign national co-worker was also pulled to the ground, sustaining minor injuries, as he tried to prevent the fall. The accident occurred as they nailed down metal sheeting on the roof in rainy conditions. The men had not been provided with helmets, harnesses, safety nets, perimeter scaffolding or elevator platforms. A request from a third Bulgarian worker to stop work on the roof due to the rain was apparently ignored, the court heard. McKenzie, 48, from Drumgose Road in Dungannon, Co Tyrone, told health and safety investigators that Mr Hristanov was reluctant to wear a safety harness and described him as “his own man”. He also denied it had been raining at the time of the incident, or that anyone spoke to him about the weather. Earlier this year he pleaded guilty to manslaughter by gross negligence and received a 15-month sentence, suspended for three years, along with a £3,000 fine. Director of Public Prosecutions Barra McGrory QC appealed the term handed down, arguing that it had been too lenient. Backing his case, Lord Justice Gillen insisted a deterrent sentence was needed in cases where men have to work at dangerous heights with potentially fatal consequences. He also stressed the onus was on employers to ensure the safety of casual labourers whose lives could be at risk in the workplace. “We are only too aware that in a period when jobs are at a premium it is never easy for workers to protest at frailties in the system of work,” the judge said. Lord Justice Gillen held that the risk of death or serious injury was foreseeable for men working on a roof without protection in wet conditions. McKenzie had complete responsibility for the victim’s safety but instead made unjustified attempts to blame him for failing to take precautions, the court heard. As the defendant sat head-bowed, he was told that he will now serve a two-year sentence, half in jail and half on licence. The fines imposed on him were removed. Prison guards led him from the court in handcuffs to begin his term behind bars.